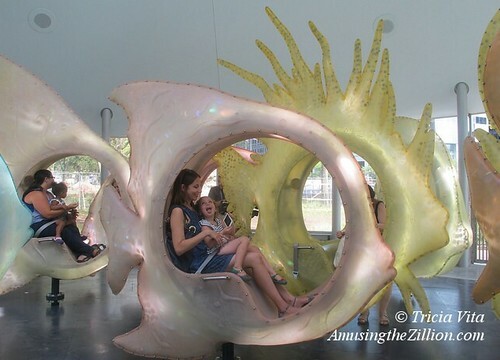 Ten years in the making, the much-anticipated SeaGlass Carousel at Battery Park will open to the public on Thursday, August 20th, from 1pm till midnight. Today, at a press preview, ATZ captured the unique ride’s inaugural spin in the above video. For its second go-round, we hopped aboard one of the 30 bioluminescent fish and shot an on-ride video through its porthole. Glowing Angelfish, Lionfish, and Butterflyfish changed colors as they swam by in a 360-degree aquatic dance. 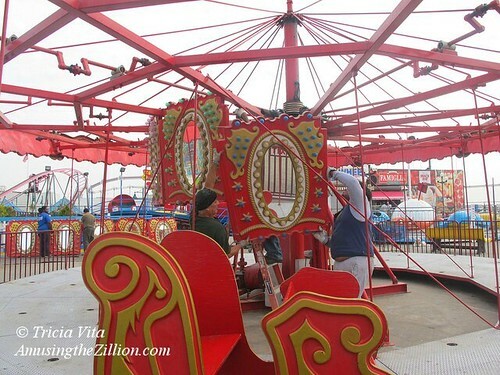 It is a very calming, otherworldly experience and totally unlike any other carousel or amusement ride. 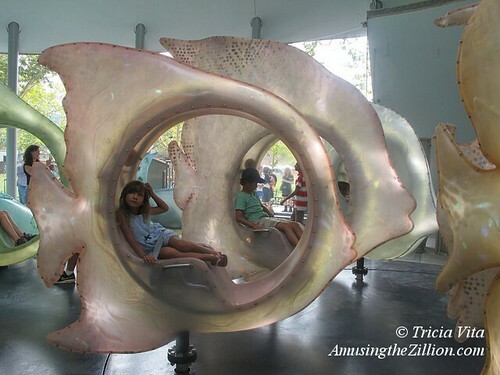 The SeaGlass Carousel’s iridescent fish are set on four moving turntables within a nautilus shell structure. The 46-foot grand turntable gently rotates 360 degrees. Within it are three on-board turntables, which slowly rotate 120 degrees in each direction on their own axes, adding an oscillating motion. Eighteen of the fish move up and down. “These various systems generate up to 25 axes of motion…swimming indeed,” according to the Conservancy. Since all mechanisms are located below the floor, there is no centerpole, as is customary with carousels. Last year, the Battery Conservancy issued an RFP (Request for Proposals) for the operation and maintenance of the SeaGlass Carousel along with food and merchandise carts in Battery Park. Ride Entertainment Group’s New York division, NY Carousel, was selected to operate the ride, which after opening day will spin daily from 10am to 10pm. The cost is $5 per ride. 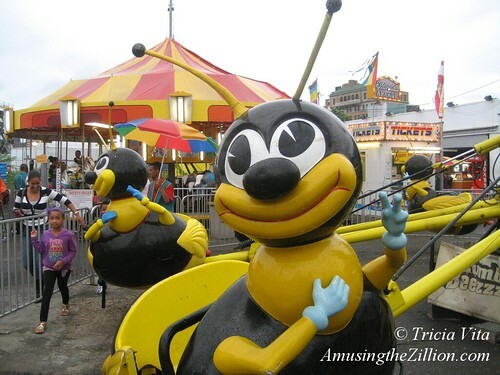 The group also operates Fantasy Forest at the Flushing Meadows Carousel and the Forest Park Carousel in Queens, as well as Fantasy Shore at Midland Beach in Staten Island and carousels in Boston and Baltimore. 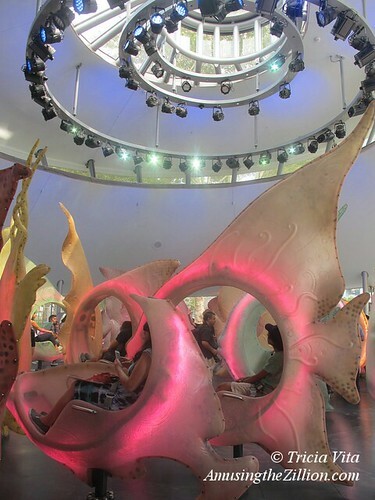 Created by the Battery Conservancy together with the New York City Department of Parks and Recreation, SeaGlass Carousel was conceived and designed by WXY Architecture + Urban Design and their engineering teams, George Tsypin Opera Factory and Show Canada. The $16 million dollar project was funded with $8 million in public funds and $8 million in private funds. 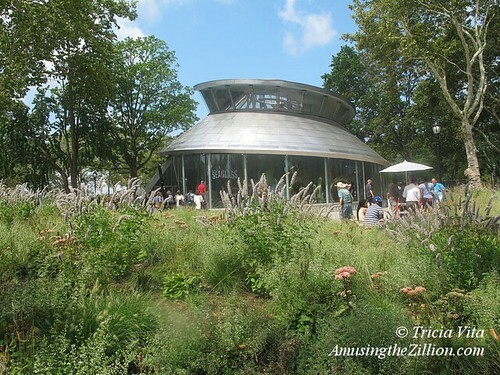 The Tiffany & Co. Foundation Woodland Gardens encircle SeaGlass Carousel. 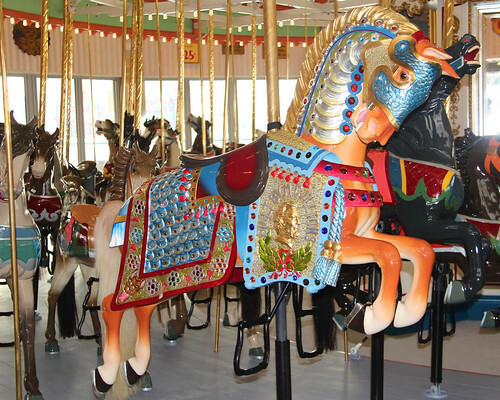 In 2013, the Forest Park Carousel was designated an official New York City Landmark, the only carousel in the City to have this honor. Carver Daniel Muller studied sculpting at the Pennsylvania Academy of the Fine Arts. He found part-time work in the carousel workshops of Charles Looff in Brooklyn and William H. Dentzel in Philadelphia. Dentzel constructed the frame of this carousel in 1890 and the majority of the carved figures are believed to date from 1903 or 1910. It was originally in Dracut, Massachusetts, and opened at Forest Park in 1973 to replace another Dentzel carousel destroyed in a fire. The carousel has 36 jumpers, 13 standing horses and three menagerie animals – a lion, a deer and a tiger. 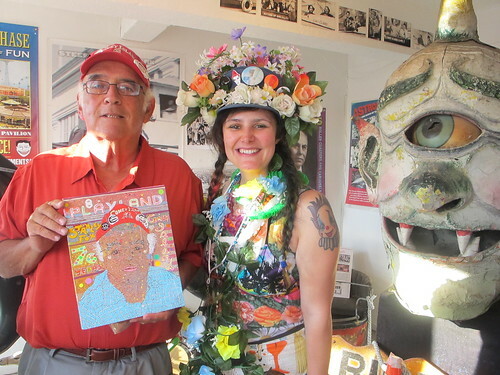 It’s summer Down Under but British-Australian artist and illustrator Sarah Beetson is already dreaming of next summer in Coney Island, which she calls “her favourite place of inspiration.” At home in her studio in Gold Coast, Queensland, Beetson has painted dozens of Polaroids that she snapped during a three-month residency in Coney last summer. Now she has assembled them into a lively and inventive new video. 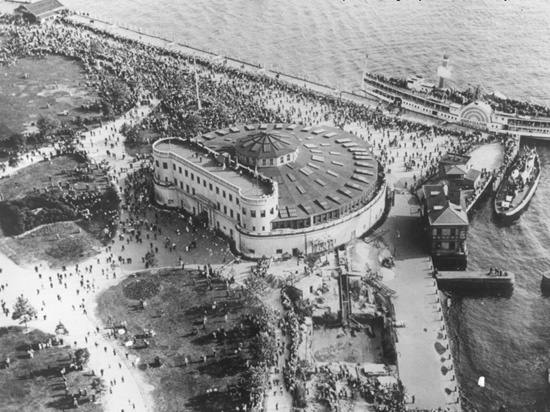 A unique carousel celebrating the history of the Battery as the first home of the New York Aquarium, which opened in 1896, is almost set to spin. 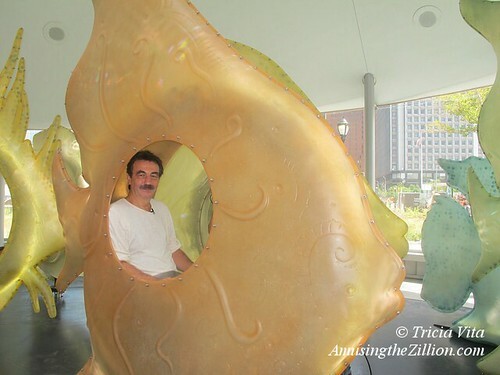 After a decade of fundraising and construction, the Battery Conservancy issued an RFP (Request for Proposals) for the operation and maintenance of the SeaGlass Carousel along with food and merchandise carts in Manhattan’s Battery Park. There will be a recommended proposer meeting on March 11, with a due date for proposals on April 14th. To download the RFP, visit http://www.thebattery.org. Designed to simulate a dive to the bottom of the sea, the carousel features iridescent fish set on four moving turntables within a nautilus shell structure. “Combined with swivel and the up-and-down motions of the fish mounted on these turntables, these various systems generate up to 25 axes of motion…swimming indeed,” according to the RFP. 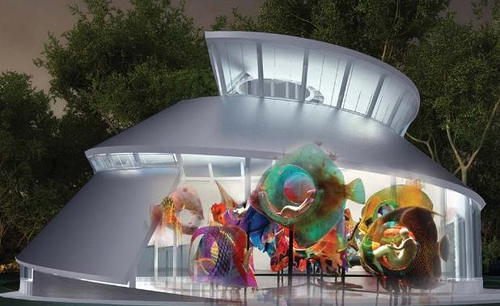 SeaGlass Carousel was conceived and designed by WXY Architecture + Urban Design and their engineering teams, George Tsypin Opera Factory and Show Canada. The $16 million dollar project was funded with a combination of public and private funds. Upon the opening of the carousel in 2014 and the Battery Garden Bikeway in 2015, over 90% of the park’s rebuilding will be complete. One of New York’s oldest parks, dating back to 1693, Battery Park was once home to the New York Aquarium, which was located in Castle Clinton from 1896 until 1941. 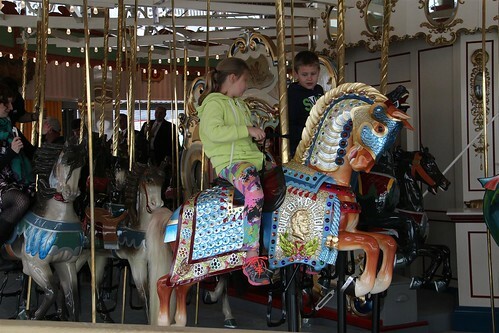 The SeaGlass Carousel is expected to operate 7 days a week, year-round. The NYCEDC commissioned a Coney Island Ferry Feasibility Study focusing on three potential ferry pier locations to be built or refurbished in Coney Island: Steeplechase Pier, West 8th Street and a location in Coney Island Creek, but Coney Island was not among the prioritized sites in the NYCEDC’s 2013 Citywide Ferry Study. Friends of Coney Island Creek Ferry Landing + Park, a group advocating for a recreational ferry link between Coney Island and The Battery, held a test run last June. Ten years in the making, the much-anticipated SeaGlass Carousel at Battery Park will open to the public on Thursday, August 20th, from 1pm till midnight. NY Carousel was selected to operate the ride. 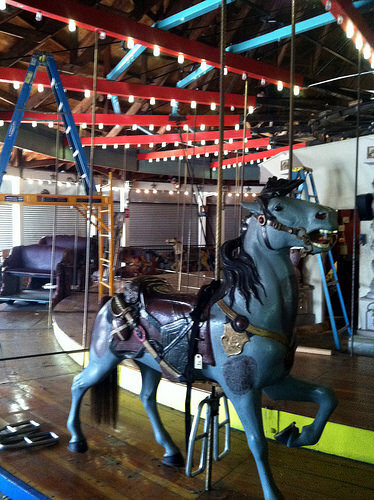 ATZ’s report, including photos and video of the carousel’s inaugural spin at yesterday’s press preview, is here. The lead horse on the beautifully restored and just reopened B&B Carousell is a rare steed. Sumptuous detailing on its trappings includes a relief of Abe Lincoln and the Coney Island carver‘s signature “Built by MC Illions.” According to carousel historian Marianne Stevens, the horse was carved in 1909, the same year the Lincoln penny was issued, in honor of the Centennial of Lincoln’s birth. It was one of four Lincoln horses carved by Illions for various carousels and the only one remaining on a working carousel. Stevens says the other jumper is on display at the New England Carousel Museum and the whereabouts of the two standers is unknown. The horse is the only one of the B&B’s 50 horses carved by Illions, who developed the Coney Island style of carving. The rest are the work of Charles Carmel, another master carousel carver who also emigrated from Russia and worked in Brooklyn. How did the Illions horse come to be part of the B&B Carousell? 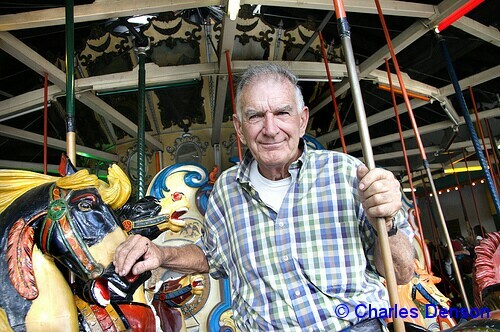 It is thanks to Jimmy McCullough, whose family operated four historic carousels in Coney Island which are now in New York City’s parks. One of them was the Stubbmann Carousel, known as the Steeplechase Carousel when the McCulloughs operated it at 16th Street and the Boardwalk. It was sent to the New York World’s Fair in 1964 along with some horses from Feltman’s and still operates in Flushing Meadows Park. When the Stubbman closed, James McCullough and his son Jimmy each chose a horse to keep, according to Stevens. Jimmy chose the Lincoln jumper which is now on the B&B, a carousel that he operated since the 1970s and sold to the City in 2005 after the death of his business partner Mike Saltzstein. 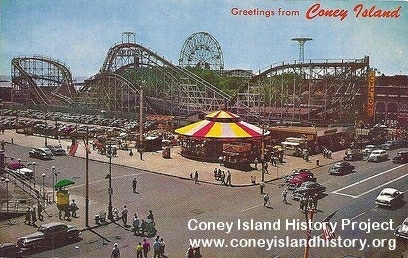 The other Coney Island carousels that are part of the McCullough legacy are the 1908 Stein and Goldstein Carousel brought to Central Park from the trolley terminal at W 5th and Surf Avenue and the 1912 Charles Carmel Carousel in Prospect Park that operated at 8th Street and Surf. Last year, McCullough’s Kiddie Park, the family’s last remaining business in Coney Island, closed after a 50 year run. Thanks to Coney Island photographer Bruce Handy, and Luna Park, which operates the B&B Carousell in the new Steeplechase Plaza, for their photos of the MC Illions horse.